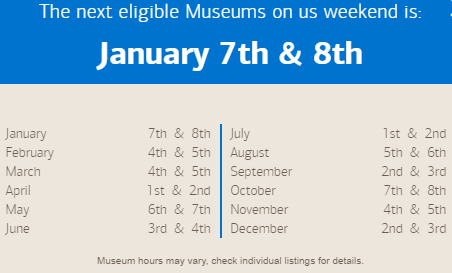 Take advantage of the great Museums on Us perk. Present your valid Bank of America or Merrill Lynch credit or debit card and picture ID on the first full weekend of every month for one free general admission pass to over 150 museums, zoos and aquariums across the US. 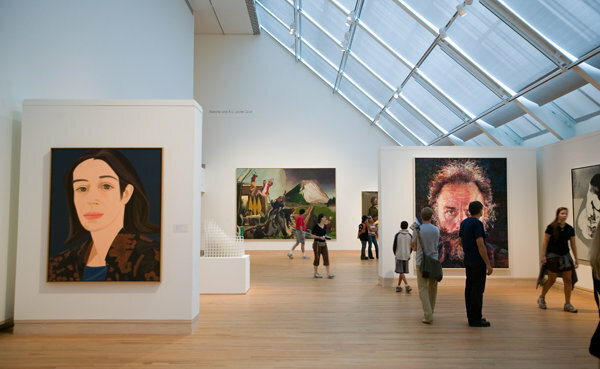 Free admission to over 150 museums, zoos and aquariums across the US is a very nice perk for simply holding any valid Bank of America or Merrill Lynch credit or debit card. Get out there and enjoy some culture for free! And if you haven’t already, sign up for FREE travel updates so you never miss an important trvlvip update, Perk, Tip or Blog post on the travel loyalty programs you care about most. We greatly appreciate when you click on any of our links or ads and book directly on the travel partner’s website! We have the potential to receive compensation, which allows us to provide our helpful travel updates and advice to you FREE of charge! For more information see our Advertising Policy. Many thanks! This is a great tip! I love checking out new museums, will definitely take advantage of this. Thanks for letting me know! Thanks Liza, we plan to take full advantage of this great benefit as well!